Hey online shopaholics! Do you want to save more and earn cashback when you shop? Great! today I am going to share with you how to Save More & Earn Cashback with ShopBack Cashback Buddy, an online shopping hack that can help you to save money at over 500 online stores. You know, the more you save the more you can shop. 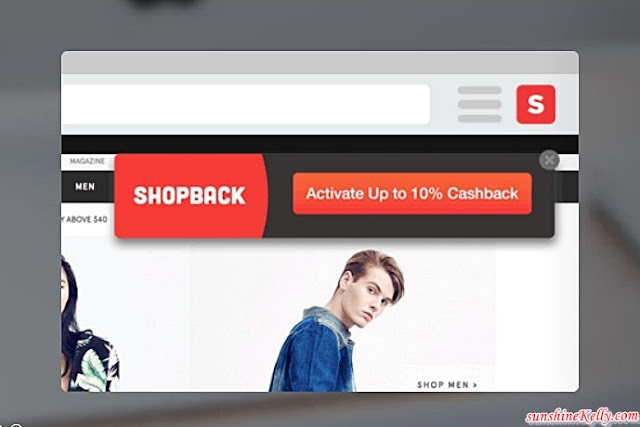 If you are new to ShopBack, fret not this platform is totally user friendly, secure and the best part is you get to save money every time you shop at ShopBack merchants (more than 500 online stores). Well, ShopBack is a digital loyalty and discovery platform, on a mission to create a world of Smarter Shoppers. 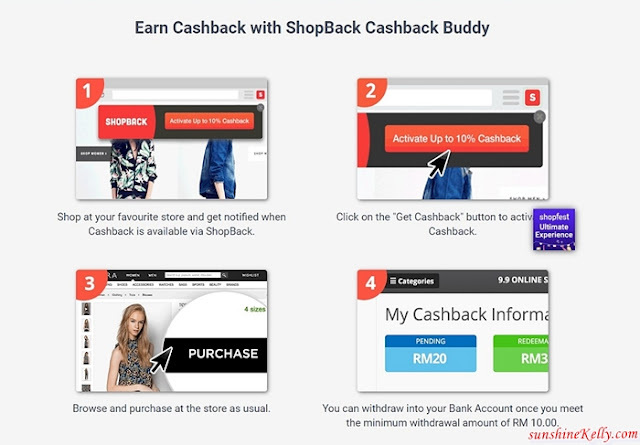 And recently they introduce ShopBack Cashback Buddy which is even easier and faster for us to earn cashback. 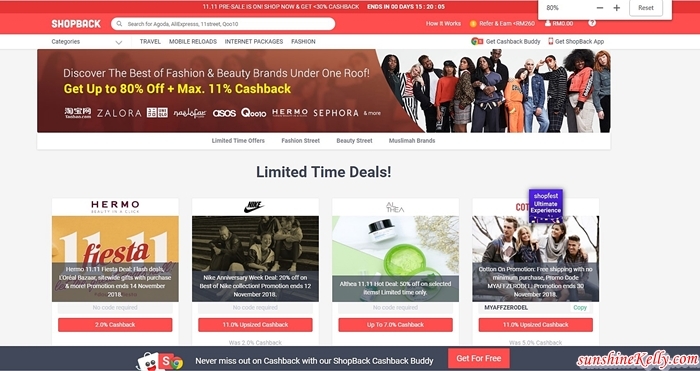 Download Cashback Buddy and start to earn cashback every time when you shop at your favourite online store. The more you shop the more you earn! 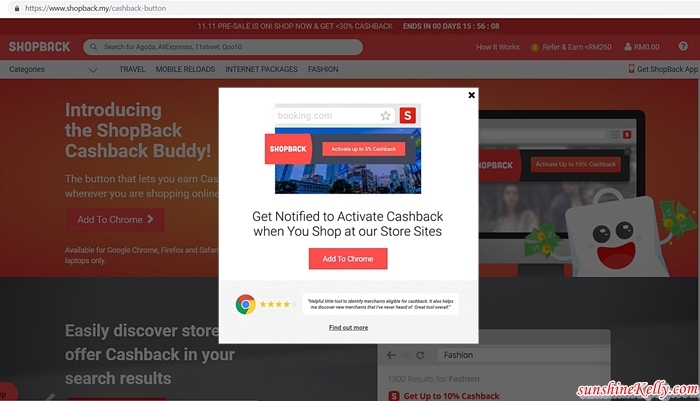 ShopBack Cashback Buddy is the button on the top right corner of your browser that lets you earn Cashback whenever you are shopping online. This feature is available for desktops and laptops only on Google Chrome, Firefox and Safari. Next, I’m sure you want to know how ShopBack Cashback Buddy works and how it benefits us? 1. Cashback Buddy notifies you whenever you are browsing an online store that is eligible for cashback from ShopBack. You know ShopBack has many online store merchants and most of my favourite online shopping sites are their merchants. Such as Zalora, Lazada, Taobao, 11street, eBay, asos, Althea, Sasa, Groupon, and many more. 2. Cashback Buddy allows you to discover new and existing stores that help you enjoy savings on your purchases. That’s is great because now I can save my time searching for coupon or discount codes. 3. Avoid instances when a ShopBack user forgets to click through ShopBack to activate cashback from a particular online store. 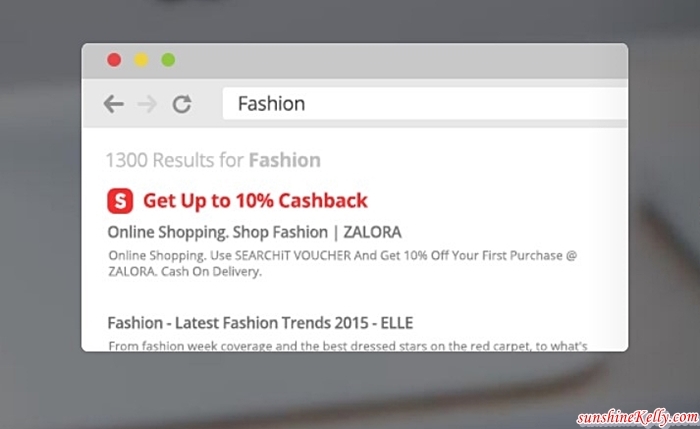 With the Cashback Buddy, a pop-up notification will appear at the top right-hand corner of your browser to remind you to earn cashback. Yes I love this! No more missing out CashBack and now let’s start to shop and earn more cashback. Wow! that’s is so cool and easy. Now you longer have to search or ask around for coupon code because with ShopBack CashBack Buddy you instant get your CashBack when you shop at your favourite online store. 3. Whenever you shop at your favourite online stores, ShopBack CashBack Buddy will tell you how much cashback is available. 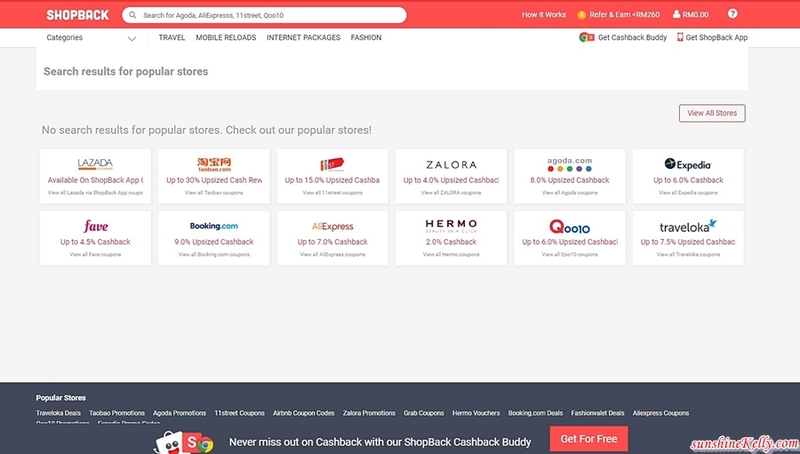 If you click on the ShopBack CashBack Buddy button you can find all coupon codes on the store you are on and you can instantly see all the sales available. 4. Shop as usual and you earn cashback. Hey! What are you waiting for? 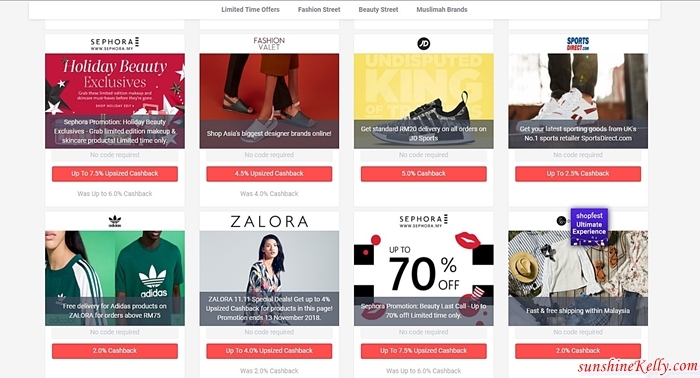 Start to earn cashback every time when you shop at your favourite online store. The more you shop the more you earn. 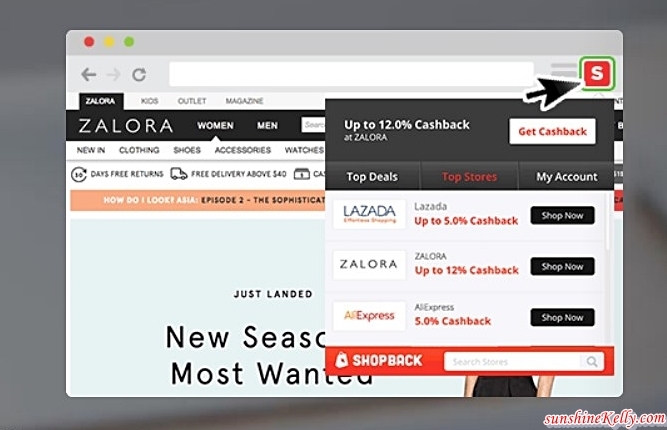 Enjoy your shopping and remember to save more & earn cashback with ShopBack CashBack Buddy!